Volkswagen Group China's electrification strategy is rapidly gaining pace in the world’s biggest market for e-mobility. The Group’s first factory specifically designed for the MEB platform is now commencing construction in Anting, Shanghai. In 2020, the new factory will produce cars and battery systems based on Volkswagen’s Modular Electric Drive Kit (MEB), a unique platform specifically designed for mass production of electric drives. The first model that will be produced in the SAIC Volkswagen plant is a Volkswagen brand SUV in 2020. Together with the FAW-Volkswagen factory in Foshan, which opened this summer, SAIC Volkswagen’s plant will begin to produce e-cars on the MEB platform directly after the first worldwide MEB-production starts in Zwickau, Germany. 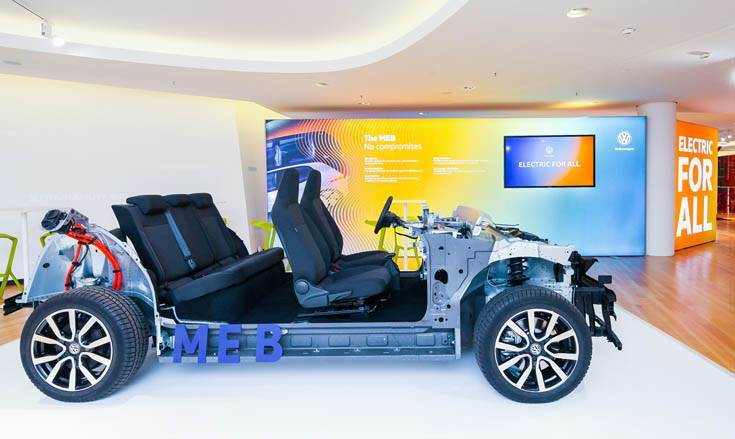 “Through Volkswagen’s MEB platform, we will be able to easily produce state-of-the-art electric vehicles for our Chinese customers on a high scale. 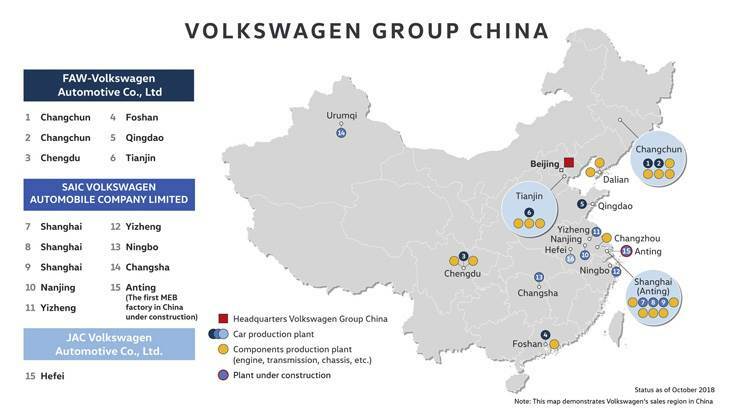 The Volkswagen Group, its brands and their Chinese joint venture partners focus consistently on sustainable mobility and push the transformation of the automotive industry in China and worldwide. In this way, we emphasize the importance of the Chinese market for the Volkswagen Group,” said Dr Herbert Diess, CEO Volkswagen Group. SAIC Volkswagen’s new factory, located in Anting, Shanghai, adopts a production network based on Industry 4.0 and increases automation rates and efficiency. The facility comes equipped with over 1400 Industry 4.0 standard robots, as well as a range of technologies including AI, AR and VR, delivering an intelligent and digitalised production plant. Covering 610,000 square metres, the plant for new energy vehicles (NEV) includes a variety of different function areas such as pressing equipment and battery assembly workshops, in addition to an elevated stereoscopic warehouse, a proving road and more.